Piperine is a pepper ingredient that gives it a sharp, burning taste.It also has other properties thanks to which it can be used in medicine.The research shows that piperine has slimming, anti-cancer and antibacterial properties.In addition, it can protect against Alzheimer’s and help in the proliferation of skin pigment cells in people suffering from albinism.Check what else the piperine has. Piperine is an alkaloid found in pepper, which not only gives it a sharp, burning taste (it shapes about 98% of the general impression of its sharpness) and a characteristic aroma.The piperine also has numerous healing properties.The most is known as a slimming agent, however, research shows that piperine also has anticancer, antibacterial and cleansing properties – it has a diuretic and slightly laxative effect, and also stimulates the quicker disposal of metabolic products.Piperine can also help people with vitiligo and digestive problems. Piperine enhances the process of thermogenesis – the process of heat production during which the body burns calories – as well as the lipolysis process, i.e. fat burning.The piperine can also contribute to fat burning in yet another way.As the scientists argue in the journal of Agricultural and Food Chemistry, piperine interferes with the activity of genes that control the formation of fat cells, and hence – can contribute to blocking fat cells.However, it should be noted that exclusive use of piperine will not cause weight loss.You need to change your diet and take care of physical activity. 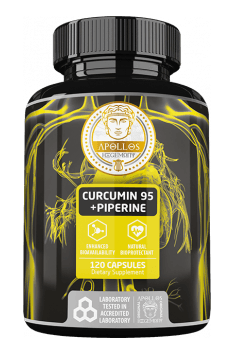 Piperine and curcumin found in curcumin can help prevent breast cancer, and perhaps also its treatment – convince scientists from the University of Michigan in the EurekAlert website. The content of piperine depends on the type of pepper.The most can be found in black pepper.In the second place in terms of piperine content is white pepper, and further green and colored. Researchers showed that added to the culture of breast cancer cells, piperine and curcumin reduce the number of cancer stem cells necessary for tumor development, while not harming normal cells.1 This creates hope for the development of drugs that work in cases where there are no effective drugs tamoxifen or raloxifene – the researchers added.Piperin and curcumin were used in tests at concentrations 20 times higher than in a normal diet containing pepper and turmeric. The recommended intake of piperine is 5-10 mg 1-2 times a day for 3 months.After a 2-month break you can repeat the treatment. The piperine stimulates sensory endings in the gastrointestinal tract, thereby increasing the secretion of gastric juice, and hence – improving digestion.Piperine enhances the absorption of certain vitamins and minerals – selenium, vitamin B and beta-carotene.In addition, it facilitates the absorption of coenzyme Q10 and increases the assimilation of curcumin and resveratrol.The piperine may also enhance the absorption of certain drugs. You can read also: Curcumin – a natural alternative to painkillers!